The deliverables of the project is to complete the reference material portfolio of five Models in 3D format files both STL and OBJ. 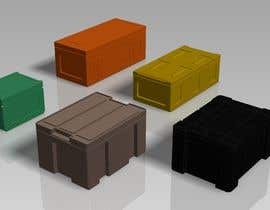 Entries should contain all 5 ammo box models in one picture. What are the boxes dimensions? 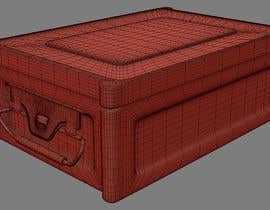 just crate 2 dimensions is mentioned, Are all they in one size?